A Dog Is for Life, Not Just For Christmas…the famous Dogs Trust slogan was first coined 39 years ago but it remains as true now as it did then. “Impulse Control” is a buzz phrase in dog training just now but it applies to humans just as much as to dogs. Impulse buying some ‘humorous’ socks for Dad or some dodgy bath salts for Auntie Jean is one thing but impulse buying a living, breathing, sentient being is another altogether. Last Christmas Dogs Trust took in over 300 stray and abandoned dogs in the two weeks after Christmas, many of them puppies who had been bought on impulse as gifts and then surrendered when the Christmas shine wore off and the reality of dog ownership kicked in. It would be very easy to simply say that dogs and puppies should never be given as a gift, especially at a hectic time like Christmas. But, while there’s a lot of sense in that viewpoint, life is rarely black and white and puppies will still be given as gifts at Christmas regardless. 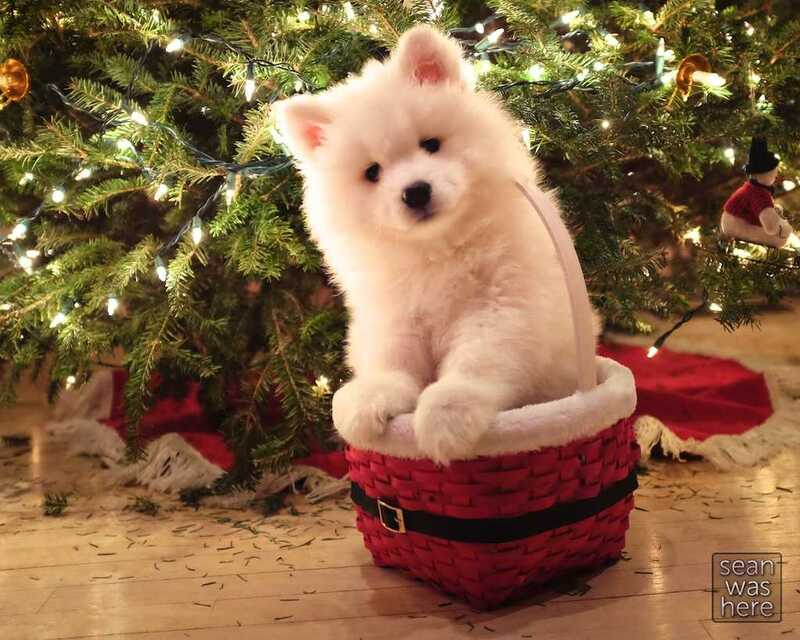 So if you are considering either giving a puppy as a gift at Christmas, or adding a puppy to your own family at Christmas, what should you be taking into consideration? Are you (or the recipient) prepared for the long term, day in, day out commitment of owning a dog? The dog will be with you for up to 16 years. Are you prepared to exercise it every day? Arrange holidays around the dog? Change your lifestyle to accommodate the dog’s needs? Can you (or the recipient) afford a dog? The purchase price is just a tiny proportion of the overall cost of owning a dog. A good diet, veterinary care, insurance, kennels, training, a dog walker or daycare if you need it all need to be factored in. These costs mount up and will go on for the life of the dog. Is Christmas really the right time to introduce a dog to the household? If it’s a busy, hectic time with visitors, parties, nights out and general upheaval is adding a puppy to the mix fair on anyone? Especially the puppy? What life stage are you/the recipient at? Will a dog fit in with your lifestyle now and for the next 16 or so years? If not are you prepared to make changes a dog would need? Do your research. If you are buying a puppy find a reputable breeder – not someone advertising on gumtree. Puppy farming and illegal puppy smuggling cause untold misery so satisfy yourself that your breeder is genuine and reputable. See the puppies with their mum and, ideally, their dad. See where the puppies have been reared. Pay attention to how the puppies react to you and other people – are they confident…fearful...headshy? Never let someone deliver a pup to you or agree to meet them somewhere to collect the puppy. If you feel uncomfortable in any way walk away and don’t buy the puppy. Consider a rescue. There are thousands of amazing dogs in rescue through no fault of their own. If you genuinely want a dog, as opposed to just wanting a puppy, give it some thought. It’s not for everyone but it might work for you. Getting a puppy or new dog at Christmas brings its own challenges and it's definitely not the easiest time of year to become a dog owner but if you are determined make sure you have done your homework and are realistic about the commitment you are taking on. And, remember, professional trainers are available to give advice before you get a dog as well as after. If in doubt, find a reputable trainer in your area and ask their advice.